For many, the visions conjured up when thinking of Christmas includes wreaths, snowflakes and Christmas lights. But what if you live in a coastal area that has white sand beaches instead of snow-capped mountains? What kind of effect does that have on the average holiday traditions? We traveled from coast to coast in search of different warm weather holiday traditions around the world. Maybe you’ll even consider adding a few to your own list of holiday must-dos. A boat decorated with Christmas lights in Miami, Florida. In Miami where there is a strong Puerto Rican influence instead of eggnog they drink a cold drink called coquito which has many of the same ingredients but with an added twist of coconut milk to give it a coastal flavor. Another holiday dining favorite is churros served with hot chocolate to replace the usual cookies left for Santa to eat on Christmas Eve. For Christmas it is also popular for those of Cuban descent often roast an entire pig for dinner. With a lack of the traditional pine trees in the area to hang Christmas lights from, a lot of Floridians choose to hang Christmas lights from their palm trees as a warm weather substitute. 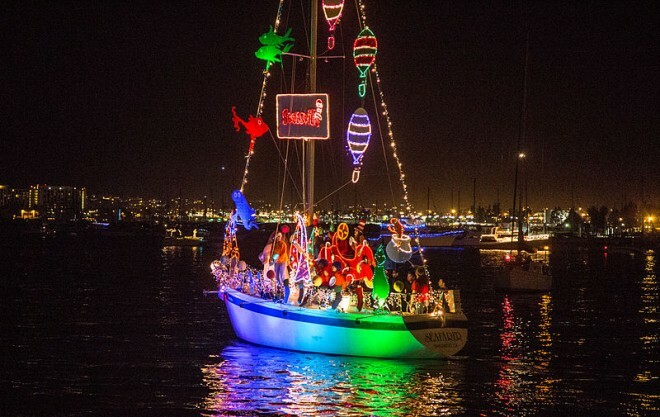 Some even take it one step further and decorate their boats with the colorful lights, creating a beautiful holiday display, as they glide through the water. And if you decide to take a walk on the beach take note of the different Christmas creatures created out of sand instead of snow. 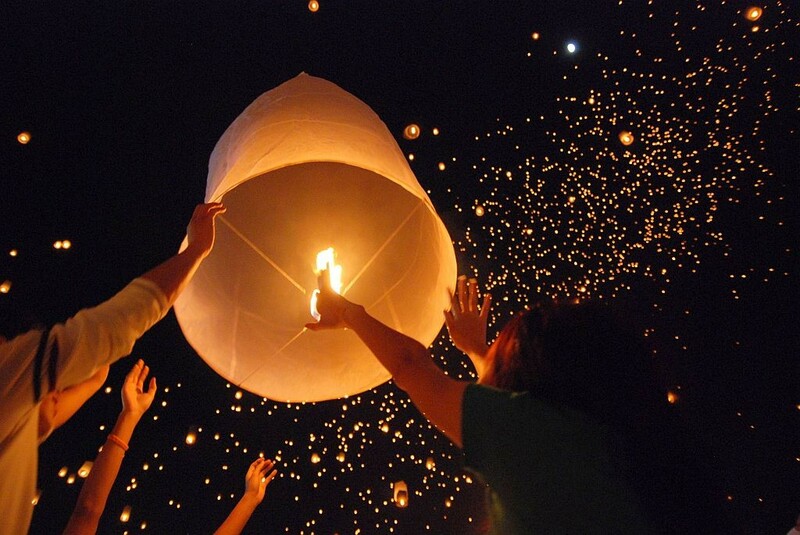 The releasing of the globos in Argentina. South of the equator Latin American countries celebrate the holidays by decorating with flowers such as lilies during the holiday season in addition to the traditional poinsettia seen in the United States. On Christmas Eve many families will be called to midnight mass by the usual ringing of bells but with the added noise of whistles and fireworks. In Argentina they have a particularly beautiful Christmas Eve tradition. At night they will light ‘globos’, which are paper decorations with a light inside that float into the sky (similar to Chinese lanterns). The sky is filled with them on Christmas Eve after midnight, and creates a spell binding scene. Traditional holiday foods eaten in Latin American countries are often tamales, rice, menudo a spicy Mexican soup made from tripe, roasted turkey, and even bread puddings. In Argentina the country is particularly proud of its beef and so it often makes an appearance on the dining table as well. A float featured in the Junkanoo parade. In the Bahamas Christmas falls during carnival time. 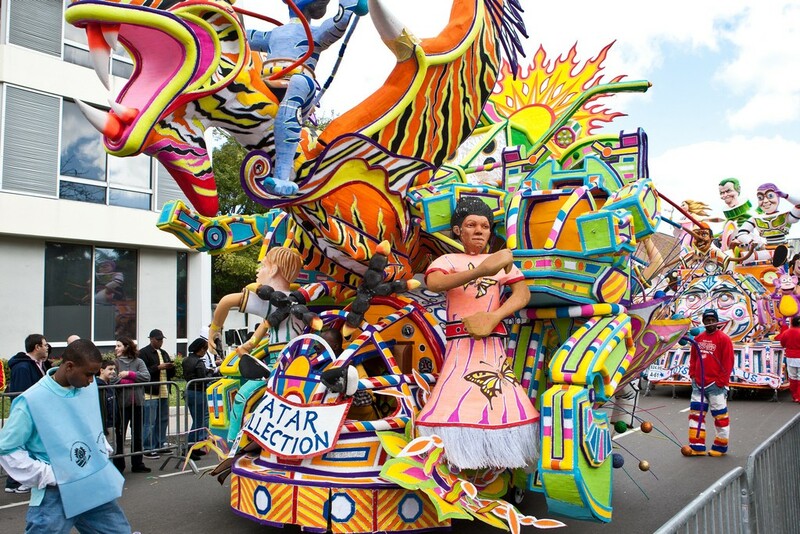 The parade known as Junkanoo is celebrated on December 26th. Unlike many other parades Junkanoo takes place between 2 am and dawn creating a truly mystical scene. Some have compared it to the Mardi Gras parades in New Orleans or Carnival in Rio de Janeiro. It is an enormous parade that features hundreds of people along with dancing, music, and costumes. The costumes are prepared in secrecy and participants may spend all year arranging their big and colorful creations in hopes of receiving a portion of the thousands of dollars in prize money that are offered to the creators of the best costumes. The tradition originated during the 16th and 17th centuries from the joyous celebrations of Caribbean slaves when they were given several days off around Christmas to spend with their families. The parade continued even after emancipation and is a holiday favorite to this day. What would a holiday be without a traditional food to go with it. In the Bahamas black cake is often made to celebrate Junkanoo. It is similar to fruit cake but made of darker fruits such as dates, figs, brandied cherries and raisins and gives it a dark appearance. The traditional Australian dessert pavlova. With being located in the southern hemisphere, the land down under is actually experiencing summer during the Christmas holiday. The holiday often marks the beginning of summer break from school for children. While on their break, instead of visiting a mall or Christmas village, young children can often visit Santa while he is on the beach surfing. It is also not uncommon for Santa to be pictured in a Ute (a type of vehicle) being pulled by the national animal of Australia, kangaroos. In his Ute Santa will bring pool toys for children instead of warm mittens and scarves. A tradition that stays the same is the hanging of the lights on homes. Though stores do not get in the spirit like they do in the United States, Christmas lights appear in bright Technicolor on residences instead of while shopping for toys. Caroling by candle light is a much bigger tradition in Australia than it is in other areas. People will gather in parks or other large areas to light candles and sing together. Live performances by celebrities and accompaniment by bands are common during the candlelight gatherings. Due to the warm climate the traditional Christmas dinner in Australia is also very different from other cold weather countries. It is not uncommon for a BBQ on the beach instead of the usual Christmas feast around the dining table. Dinner also often consists of a seafood fest served with chilled drinks. 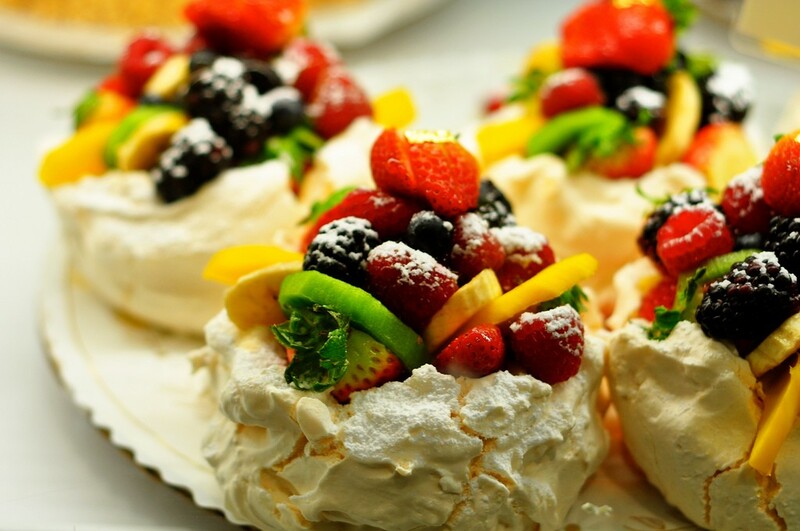 Followed by a traditional dessert called Pavlova which is a meringue-based dessert with a soft crust and topped with tropical fruits and sometimes whipped cream. A Christmas fireworks display along the South African coast. South Africa is also experiencing summer during the Christmas season. So in addition to the traditional lights, South Africans decorate their homes with beautiful flowers. Dinner consists predominantly of BBQs featuring a sausage known as Boerewors while enjoying the great outdoors. Much of the day is spent enjoying the outdoors. Picture Santa hats paired with bikinis and swim trunks instead of the usual sweaters and Santa hats. 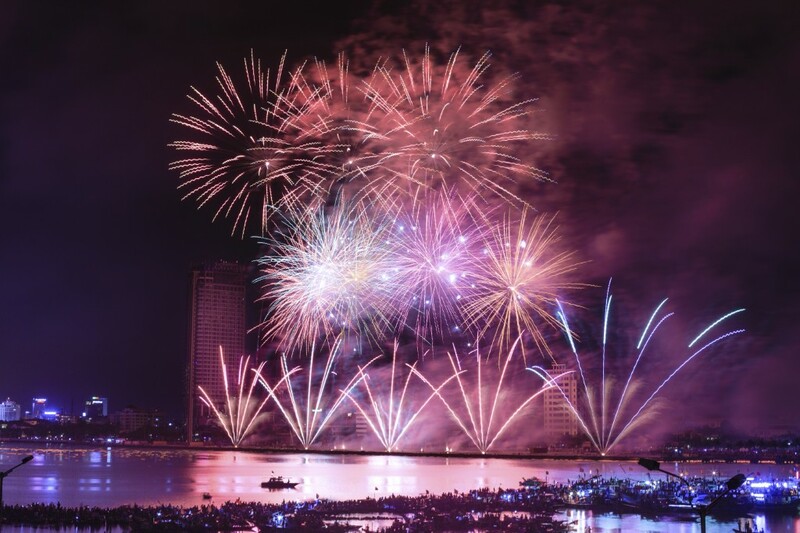 In the evening South Africans remain outdoor and celebrate using fireworks to mark the joyous occasion. Though there are many different holiday traditions from around the world a few remain the same. Letters to Santa are popular in almost every country. One tradition that is universally important no matter the country or climate is spending time with family and friends. So this holiday season no matter how you celebrate, whether it be in a scarf or a swimsuit, take time out of the holiday rush to spend time with those most important to you. Happy Holidays from all of us at AdirondackChairs4Less.